Natural Component of Apple Peels Found To Help Prevent Muscle WeakeningIn search of an effective method to prevent muscle wasting that comes with illness and aging, researchers have located a natural compound that is very promising.The findings reported in the June issue of Cell Metabolism (a Cell Press publication), identify a natural component of apple peels known as Ursolic Acid as a promising newnutritional therapy for the widespread and debilitating condition that affects nearly everyone at one time or another.”Muscle wasting is a frequent companion of illness and aging,” explained researchers from The University of Iowa, Iowa City. “It prolongs hospitalization, delays recoveries and in some cases prevents people going back home. It isn’t well understood and there is no medicine for it.”The research team first looked at what happens to gene activity in muscles under conditions that promote weakening. Those studies turned up 63 genes that change in response to fasting in both people and mice and another 29 that shift their expression in the muscles of both people who are fasting and those with spinal cord injury. Comparison of those gene expression signatures to the signatures of cells treated with more than 1300 bio-active small molecules led them to ursolic acid as a compound with effects that might counteract those of atrophy.”Ursolic Acid is an interesting natural compound,” they said. 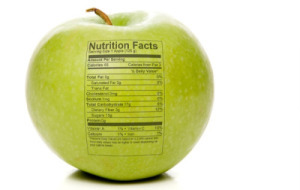 “It’s part of a normal diet as a component of apple peels. They always say that an apple a day keeps the doctor away…”The researchers next gave Ursolic Acid to fasted laboratory subjects. Those experiments showed that ursolic acid could protect against muscle weakening as predicted. When ursolic acid was added to the food of normal subjects for a period of weeks, their muscles grew. Those effects were traced back to enhanced insulin signaling in muscle and to corrections in the gene signatures linked to atrophy.